Shared WordPress Web Hosting: How to Select the Best Host? Website hosting plays a vital role in your WordPress website’s performance. In this post, I will go over a number of tips to help you choose quality shared hosting for your website, including reputation, support, hardware they use, number of sites supported and more. If you select a crappy web host (e.g. BlueHost, Hostgator, and all other hosts owned by EIG), it will cause you nothing but headaches. A website which loads slowly leaves a terrible first impression on your visitors, and in most cases will cause them to leave in a hurry, praying that the next site they visit loads more quickly. Choose quality shared WordPress hosting, and get your new website started the right way. Don’t just go with the cheapest possible hosting package you can find. You get what you pay for, and you’ll get a website that loads slowly and makes you look unprofessional. Save yourself the headache, and pay a few bucks more for quality. Shared web hosting means that your website is sharing a large web server with many other websites. Having numerous sites on one server lets providers offer this service at very affordable rates. You can easily find quality shared hosting packages for a few dollars per month. At MPR Studio, we highly recommend SiteGround and host our own site there. They use the latest in server technology and provide excellent customer and technical support. If you signup through the link above, we receive a small commission. 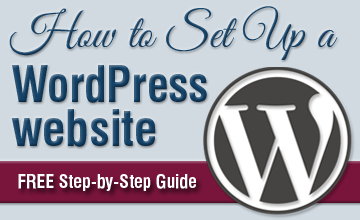 In addition, we offer FREE WordPress setup for those who purchase hosting through our affiliate link. When you are just starting out, a shared hosting plan is sufficient for your needs. You can upgrade your hosting later as your site grows in popularity and starts receiving a ton of traffic. For the majority of sites online, shared hosting is all they’ll ever need. When choosing a shared hosting provider, there are some important things to take into consideration. Providers and plans are NOT created equally, and it’s better to choose a good host from the get-go so you don’t have to migrate your site later. Before you select a shared web hosting provider for your website, make sure and do your homework. Check out multiple reviews online and come up with a short list (maybe 3) of potential hosting companies. Please note: There are some biased reviews online in which people review and recommend certain hosts because they earn money from affiliate links to them. Not all of these reviews are wrong, but keep in mind that they can be inaccurate. If you see anyone recommending BlueHost, please know that they are not to be trusted and are doing you a great disservice. While BlueHost used to provide great service, they’re total garbage now. The same goes for all hosting companies owned by Endurance International Group (EIG). Different web hosts have varying levels of customer service, ranging from beyond dreadful to absolutely stellar. When choosing a hosting provider, make sure that their customer and technical support is helpful and quick to respond. You don’t want to sign up with a provider, only to find out later that it’s impossible to get help from them when you need it. Solid State Drives (or SSDs) offer much faster read and write speeds than traditional Hard Disk Drives (HDDs). This results in faster delivery of your website content, whether you run a blog, eCommerce website or custom-built application. Many hosts offer FREE SSDs as part of their shared hosting plans. Others may charge for them. In many cases, you can have numerous websites on one hosting plan. With InMotion, you can have up to 2 sites on their Launch Plan, 6 websites on their Power Plan or unlimited sites on their Pro Plan. Make sure you read through all the plan details to choose the plan that will accommodate your specific needs. Your site’s security should be of utmost importance, and you want to make sure you have your site backed up in case anything goes wrong. 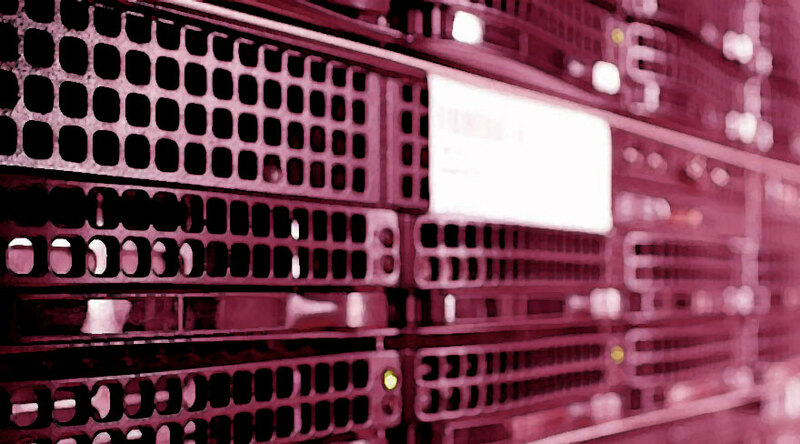 Some providers offer free regular backups as part of their shared hosting plans. * If your host does not offer backups or charges extra for them, you can use a WordPress plugin instead and schedule automatic backups yourself. Make sure that your plan gives you and/or your developer access to all the tools you need to easily build and manage your website. All shared web hosting providers are NOT created equally. Some companies should be avoided at all costs – GoDaddy’s shared hosting service comes to mind. I had a few sites hosted with them, and they were all slow as hell. Doing any kind of work on them – or waiting for them to load – was like pulling my own teeth without a mirror or anesthesia – slow, awkward and painful. I ended up moving those sites to InMotion Hosting, which has provided excellent service. This particular site was hosted on 1and1, but I recently migrated it (and a bunch of other sites) to SiteGround. Do you have any questions or comments about choosing the best shared web hosting for your WordPress website?